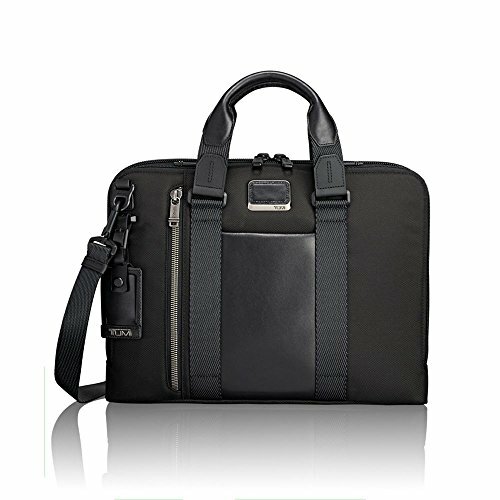 You're more than just a business person, you have a lot going on and you need more from a briefcase than a file folder compartment. 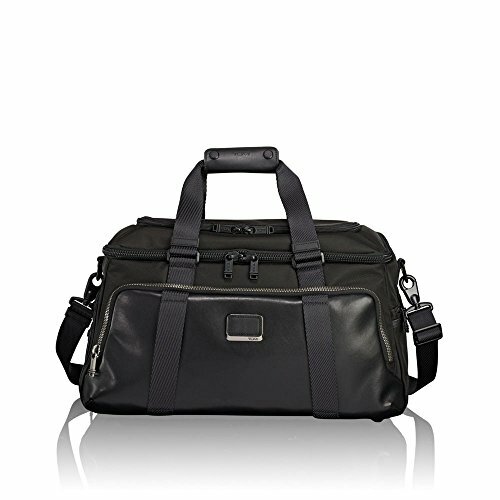 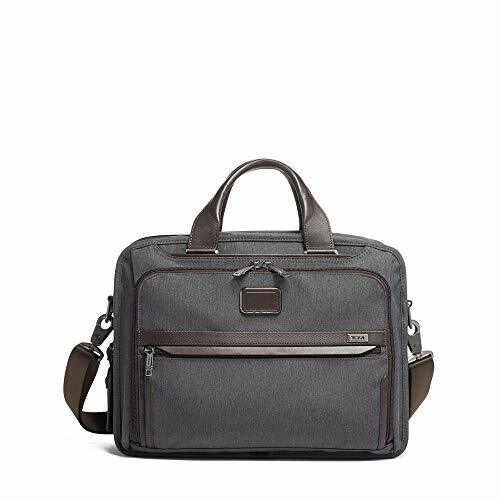 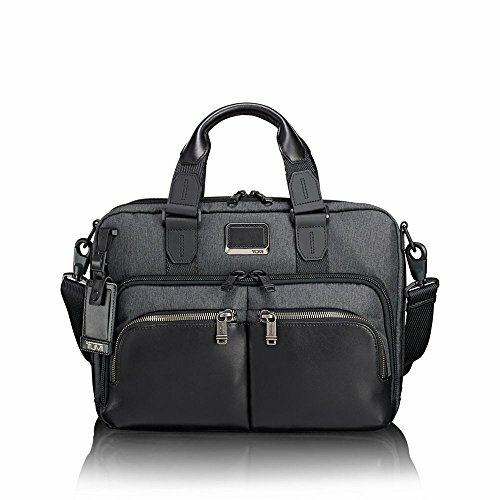 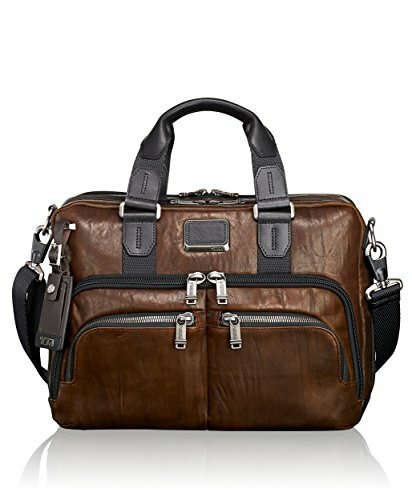 This is where the Tumi® Alpha Bravo Sheppard Deluxe Brief Pack® comes in, perfect for your work/life balance. 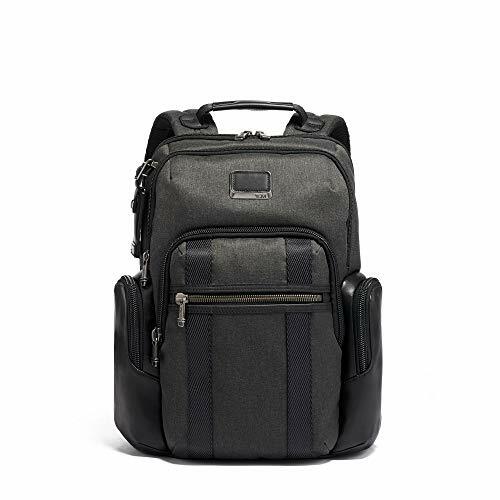 Made from exceptionally durable ballistic nylon with leather trim. 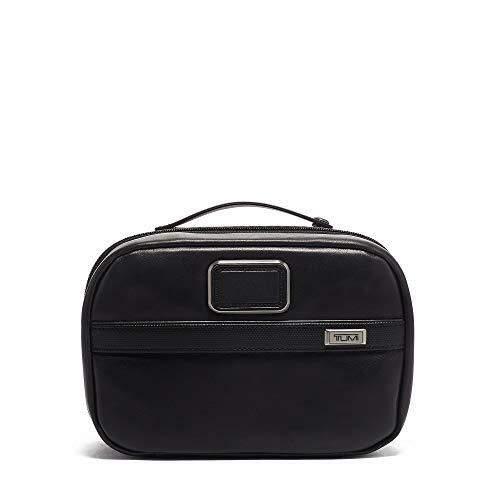 Zip closure allows easy access to the main compartment. 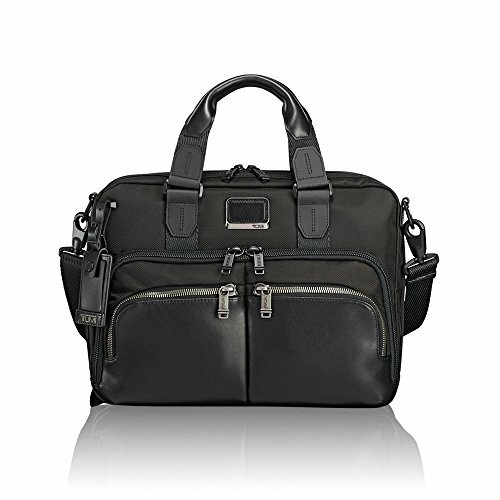 Webbed top carry handle with leather accent and padded, adjustable shoulder straps. 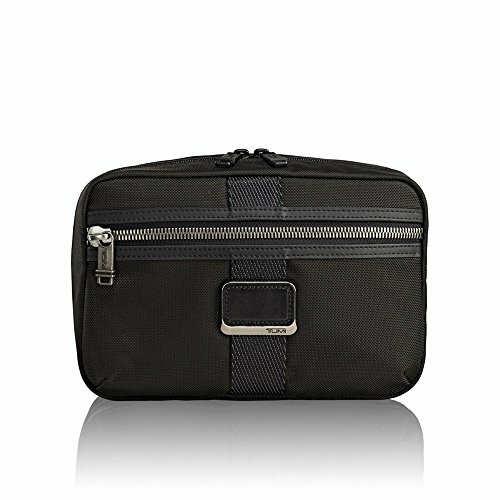 A total of six exterior zip pockets including a waterproof pocket perfect for a water bottle or wet umbrella. 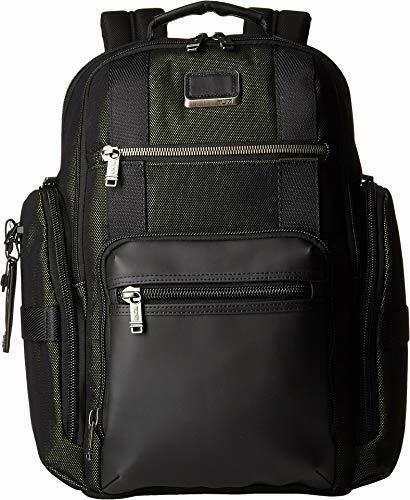 Back slip pocket with hidden magnetic snap. 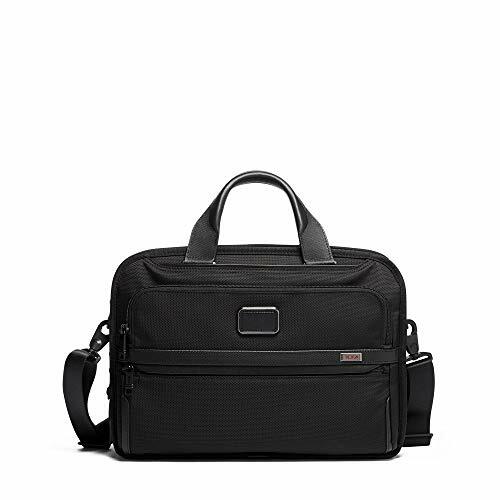 Rear compartment features a 15" padded laptop compartment, an ipad pocket, Tumi ID lock pocket, and slip pockets. 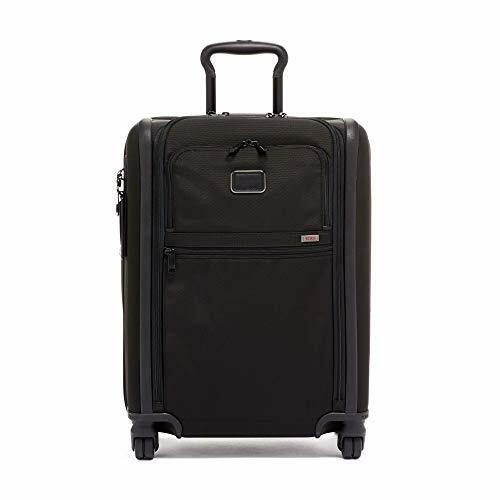 Features Tumi's add-a-bag system to help you maneuver the airport seamlessly. 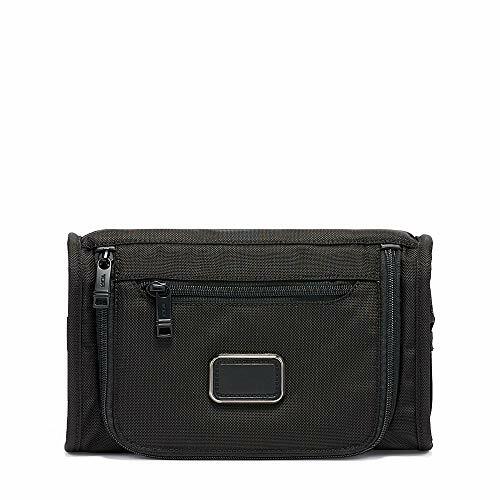 Main compartment boasts three media pockets, two zip pockets, one open pocket, one business card pocket, several pen loops, and a key leash. 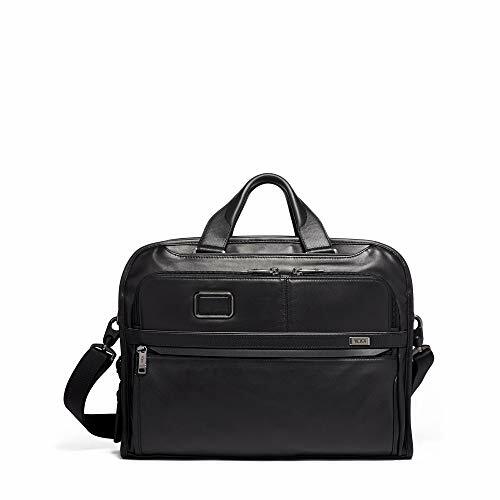 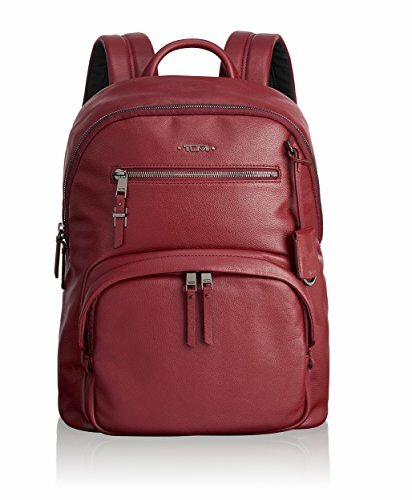 Part of the Tumi® Alpha 3 Collection. 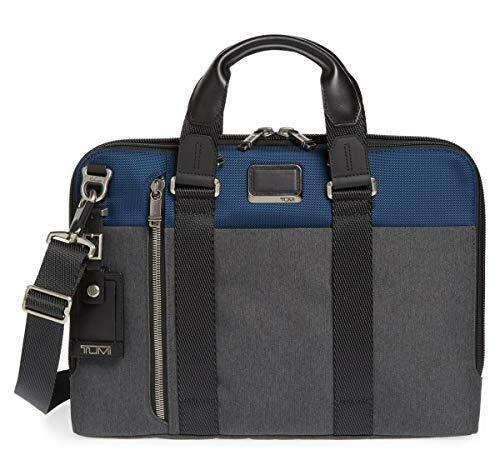 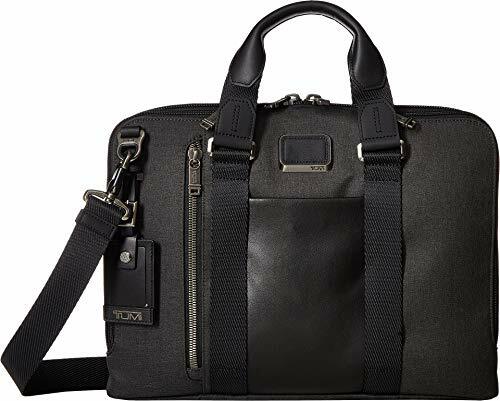 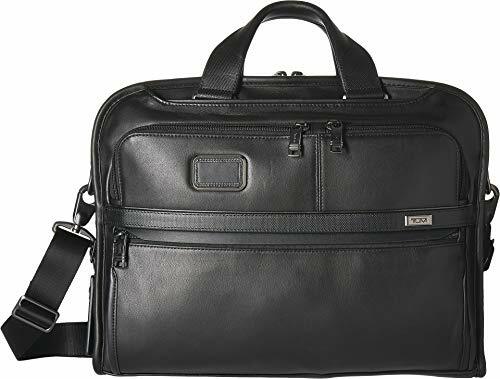 The Tumi® Alpha 3 Organizer Portfolio Brief is the ideal pick for your daily commute. 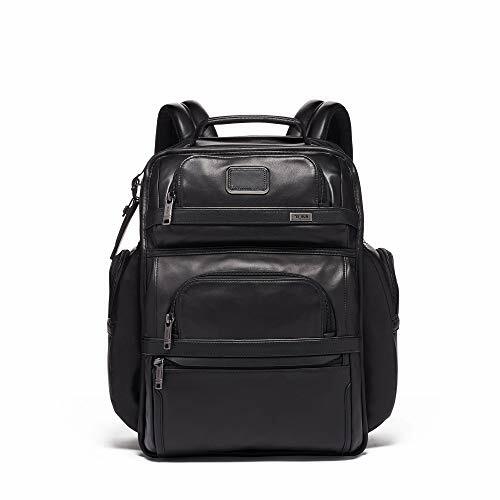 Crafted in genuine leather and durable ballistic nylon. 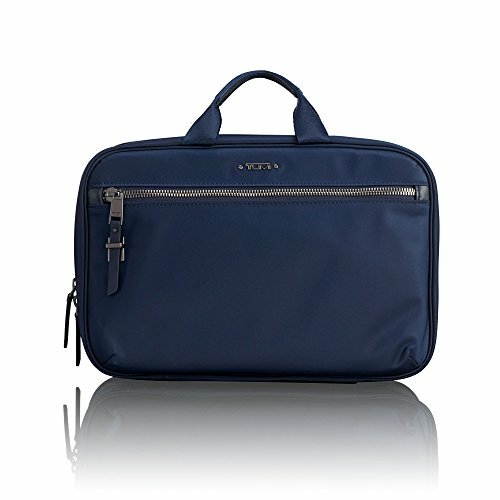 Two U-zip pockets (one with water-resistant lining). 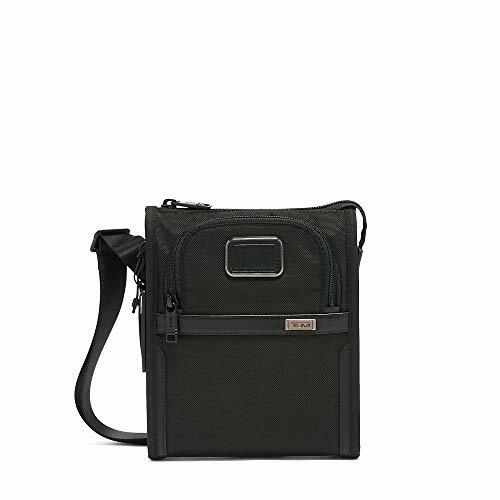 Interior features a padded tablet pocket, file divider, three open pockets, two zip pockets, four media pockets, five card pockets, pen loops, and a key leash. 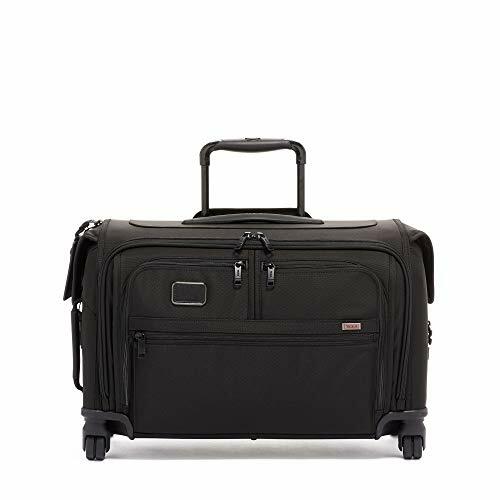 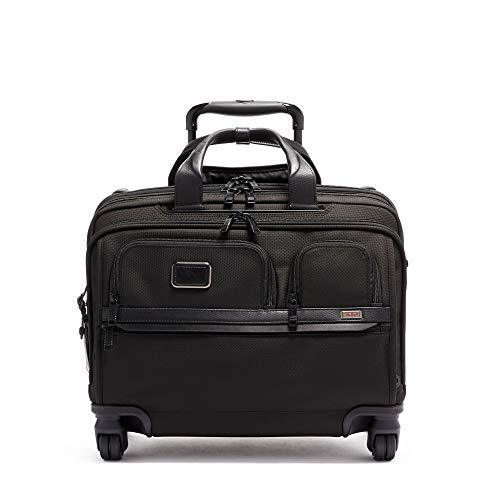 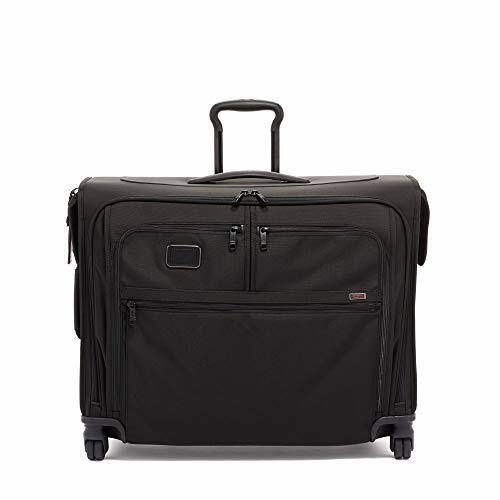 BEST IN CLASS FUNCTIONALITY: This roomy suitcase is perfect for extended travel, with up to 2" expanded depth, a removable garment sleeve with fiberglass rod (fits one suit), a hanger bracket and handy interior and exterior pockets to keep essentials in order and easy to reach. 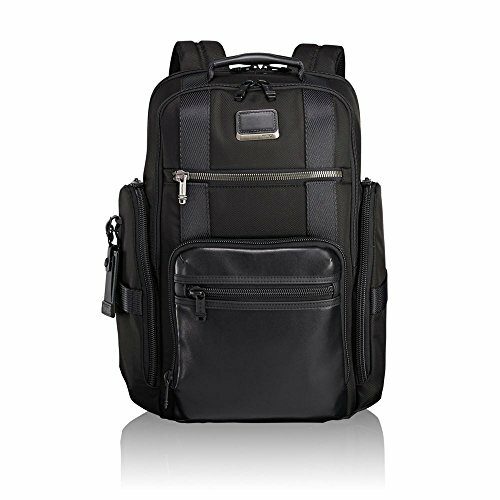 Additional features include main compartment with security zipper and U-zip pockets for easy access to items. 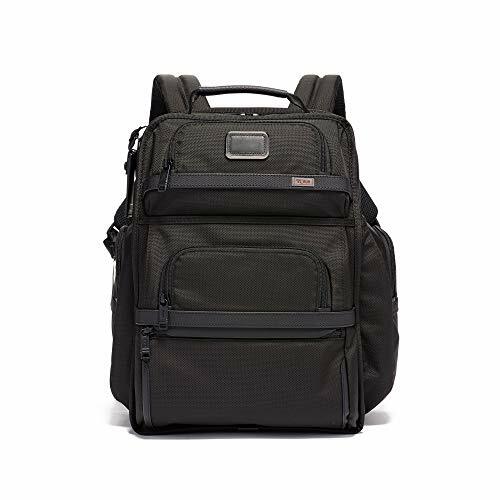 INNOVATION BY DESIGN: Ultra-durable FXT Ballistic nylon. 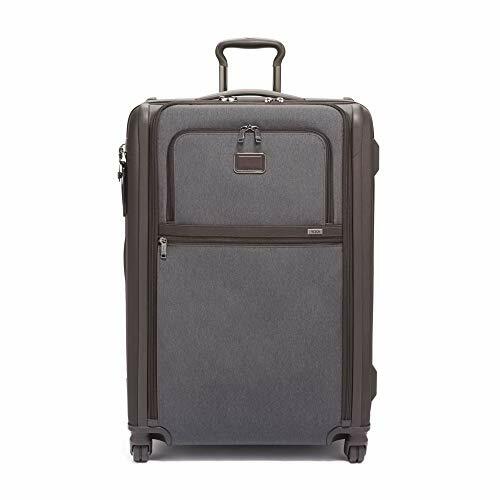 Impact resistant DuraFold construction with molded impact-resistant side panels and protective bumper rails. 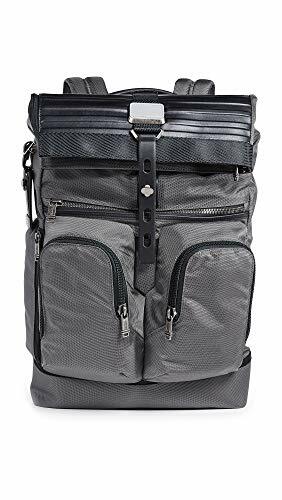 Impact absorbing aircraft grade aluminum 3-stage telescopic X-Brace 45 Handle System as well as retractable top and side grab handles and a bottom grab handle. 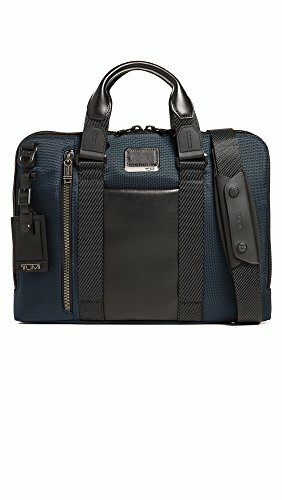 Dual-Coil zipper break away design. 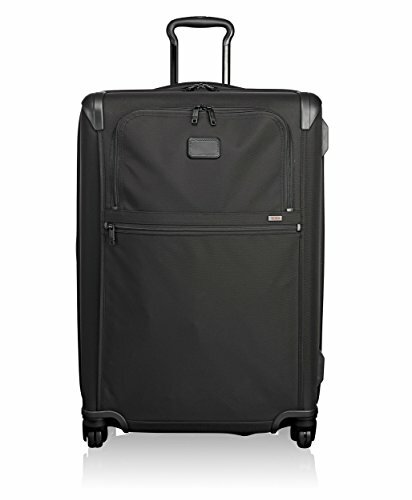 Exclusive complimentary TUMI Tracer program to help find lost or stolen items. 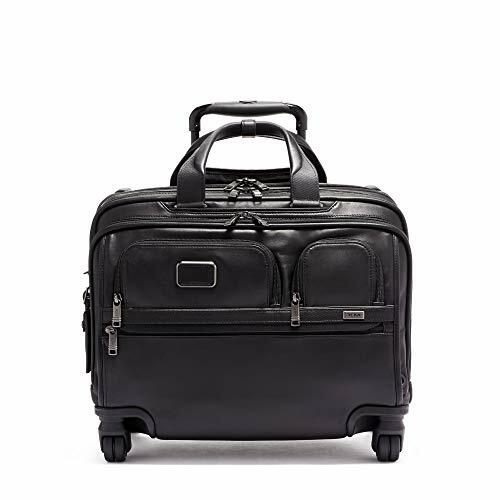 INTEGRATED TSA LOCK: Dual integrated lock allow for both front and main opening top be locked. 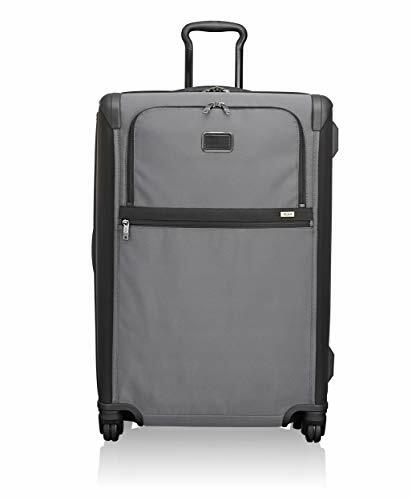 EASY GLIDE WHEELS: State-of-the-art dual spinner wheel system ensures effortless maneuverability in every direction. 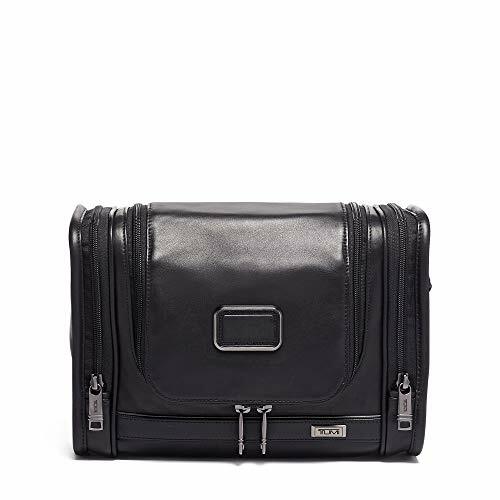 BEST IN CLASS FUNCTIONALITY: The perfect office pack, this well-organized design features numerous interior and exterior pockets for media, electronics, business cards, and travel passports. 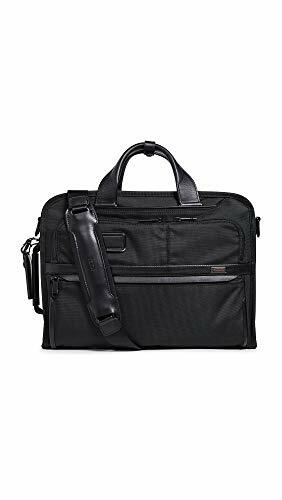 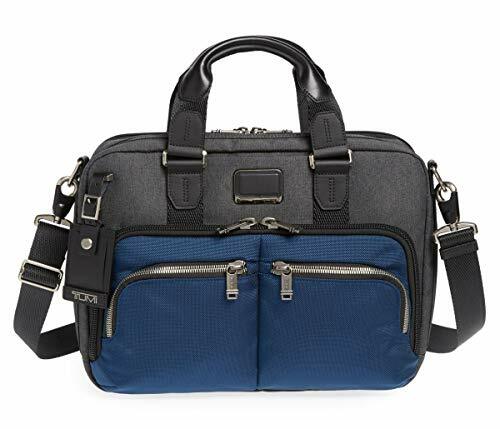 Additional features include a padded laptop compartment (15"), a tablet pocket, an open pocket (one for files), U-zip pockets for easy access to items (one with water-resistant lining for a water bottle or umbrella), pen loops and a key leash. 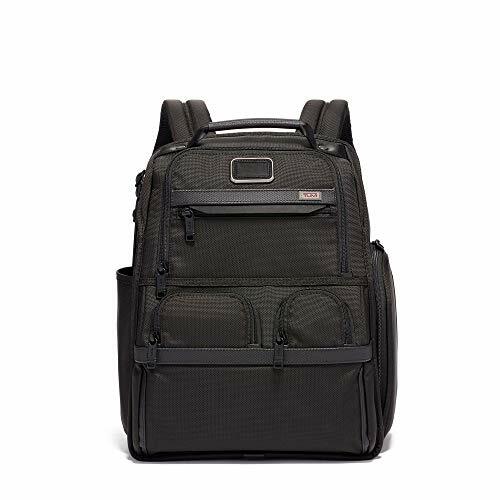 INNOVATION BY DESIGN: Ultra-durable FXT Ballistic nylon. 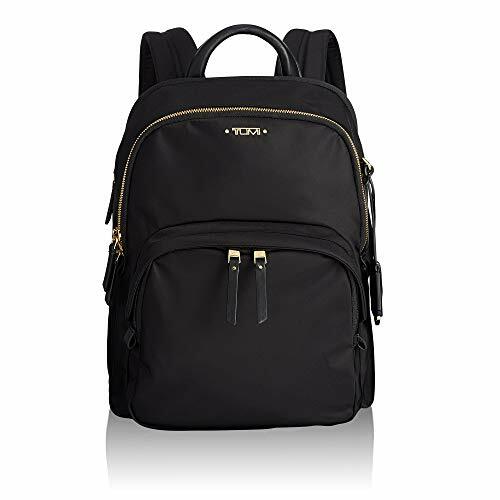 Dual-coil zipper break away design increases strength of zipper. 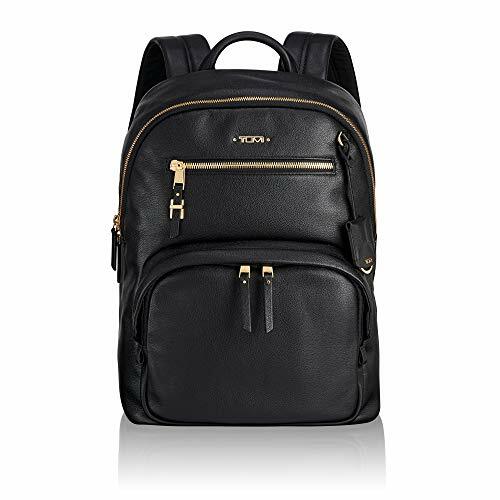 Padded adjustable straps and leather-wrapped top carry handle. 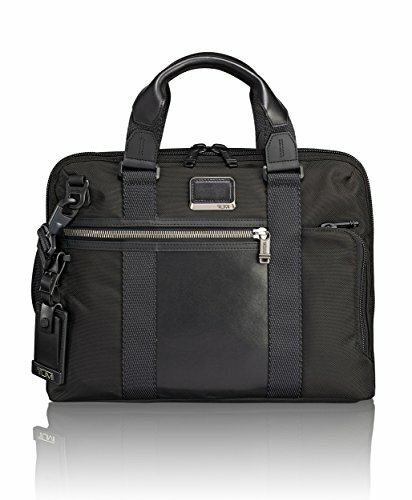 Exclusive complimentary TUMI Tracer program to help find lost or stolen items. 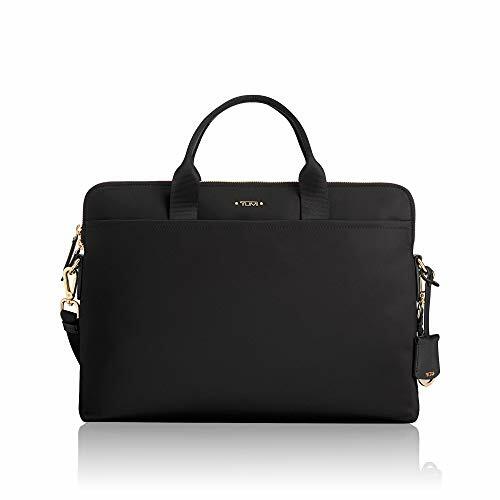 ADD-A-BAG SLEEVE: Effortlessly carry items at the same time with one hand. 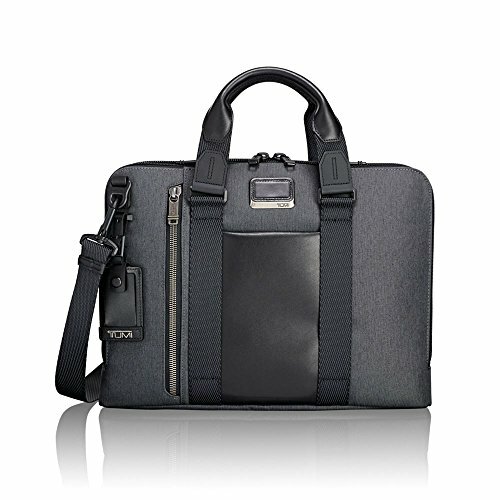 PADDED LAPTOP/MEDIA COMPARTMENTS: Designed with a dedicated padded 15" laptop compartment and a padded tablet pocket. 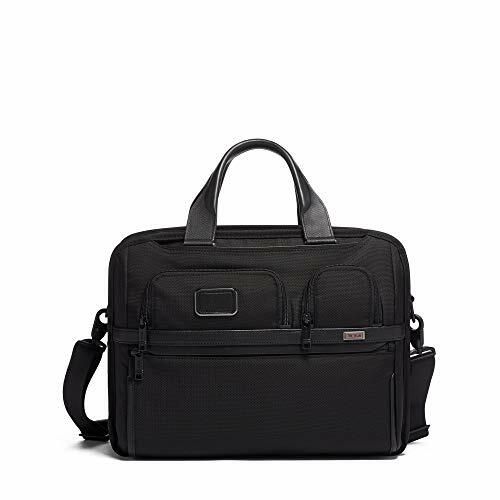 BEST IN CLASS FUNCTIONALITY: This versatile travel kit fits everything you need and keeps it well organized. 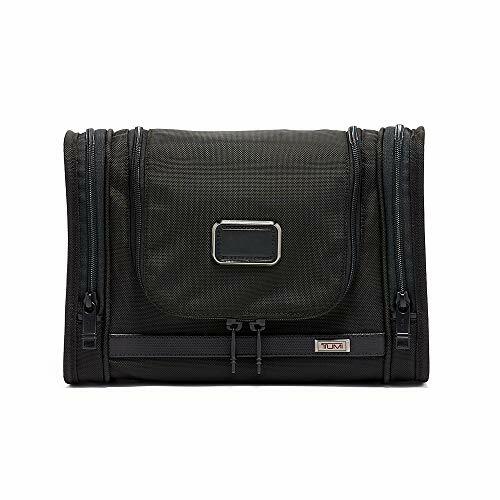 Designed to hang from towel racks or sit on flat surfaces, with an easy-access compartment and two pockets. 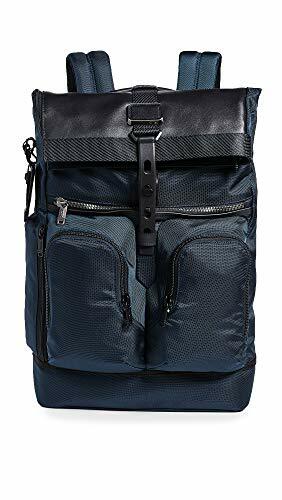 Additional features include U-zip entry to main compartment for easy access to items, internal organizer pockets and elastic loops to hold items in place. 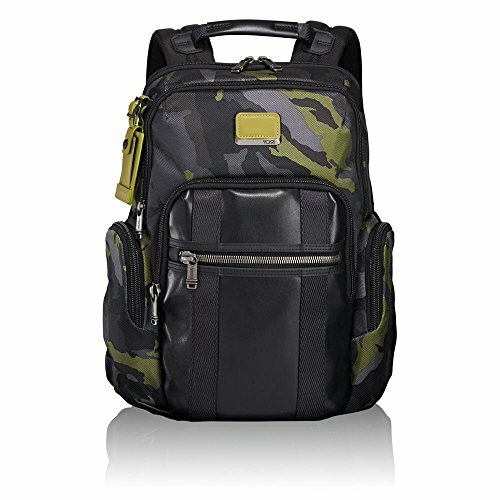 INNOVATION BY DESIGN: Ultra-durable FXT Ballistic nylon. 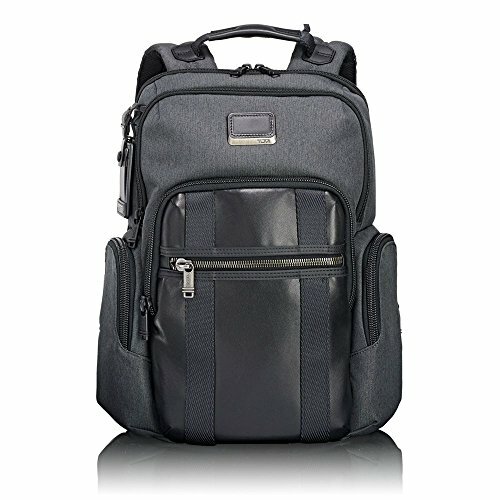 Dual coil zipper break away design increases strength of zipper. 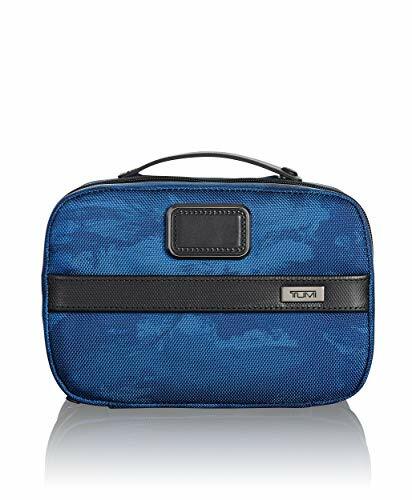 Advanced anti-bacterial lining that inhibits the growth of odor-causing bacteria, mildew or mold. 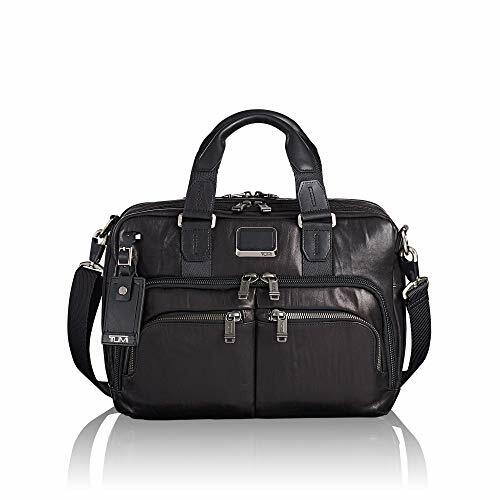 TUMI TRACER: Exclusive complimentary program to help find lost or stolen items. 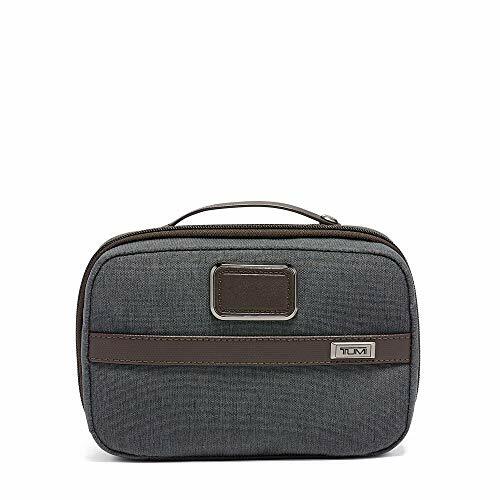 VERSATILE TRAVEL KIT: Designed to hang from towel tack or sit on flat surface.